CAMBRIDGE, UK, April 25, 2012 (ENS) – Warm ocean currents flowing beneath ice shelves are the main cause of recent ice loss from Antarctica, concludes a study by an international research team published today. The finding brings scientists closer to providing reliable projections of future sea level rise. Using measurements from NASA’s Ice, Cloud, and land Elevation Satellite, ICESat, in combination with computer models, the researchers were able to distinguish between warm ocean currents thawing the ice sheets from below and warm air melting them from above. Researchers used 4.5 million measurements made by a laser instrument mounted on ICESat to map the changing thickness of almost all the floating ice shelves around Antarctica, revealing the pattern of ice-shelf melt across the continent. 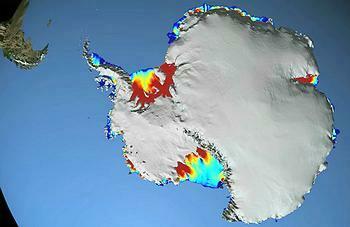 Of the 54 ice shelves mapped, 20 are being melted by warm ocean currents, most of which are in West Antarctica. There, inland glaciers flowing down to the coast and feeding into these thinning ice shelves have accelerated, draining more ice into the sea and contributing to sea-level rise. This ocean-driven thinning is responsible for the most widespread and rapid ice losses in West Antarctica and the majority of Antarctic ice sheet loss during the five-year period of the study, October 2003 to October 2008, the study concludes. Published in the journal “Nature,” the study was carried out by scientists from the British Antarctic Survey, Utrecht University in Utrecht, Netherlands, the University of California in San Diego and the nonprofit research institute Earth and Space Research in Corvallis, Oregon. To map the changing thickness of almost all the floating ice shelves around Antarctica, the team used a time series of 4.5 million surface height measurements taken by a laser instrument mounted on ICESat. 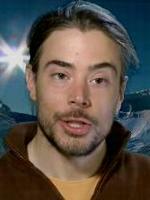 They measured how the ice shelf height changed over time and ran computer models to discard changes in ice thickness because of natural snow accumulation and compaction. The researchers also used a tide model that eliminated height changes caused by tides raising and lowering the ice shelves. “Coupled with NASA’s portfolio of other ice sheet research using data from our GRACE mission, satellite radars and aircraft, we get a comprehensive view of ice sheet change that improves estimates of sea level rise,” said Wagner. Previous studies used satellite radar data to measure the evolution of ice shelves and glaciers, but laser measurements are more precise in detecting changes in ice shelf thickness through time. This is especially true in coastal areas. 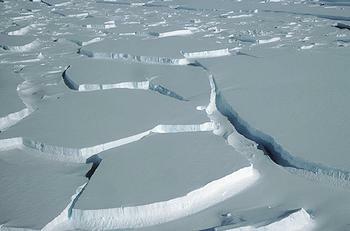 Steeper slopes at the grounding line, where floating ice shelves connect with the landmass, cause problems for lower-resolution radar altimeters. ICESat was the first satellite designed to use laser altimetry to study the Earth’s polar regions. It operated from 2003 to 2009. Its successor, ICESat-2, is scheduled for launch in 2016. The research links changes in wind patterns with the observed increase in melting that occurs on the underside of a glacier or ice shelf and glacier acceleration. A different pattern is evident on the Antarctic Peninsula, the long stretch of land pointing towards South America. The study found thinning of the largest ice shelf on the peninsula can be explained by warm summer winds directly melting the snow on the ice shelf surfaces. The patterns of widespread ocean-driven melting and summer melting on the Antarctic Peninsula can be attributed to changing wind patterns. This research is part of international efforts to improve understanding of the interactions between ice and climate in order to improve the reliability of sea-level rise projections.